Our Clubs are open to all young people. 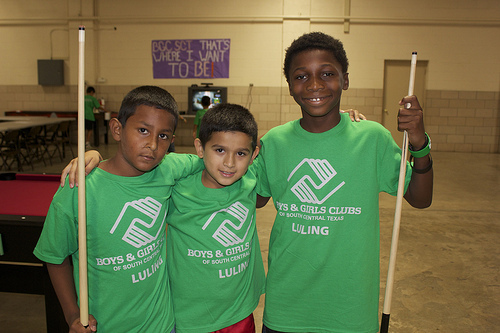 The Boys & Girls Clubs of South Central Texas (BGCSCT) prides itself on its safe youth facilities, its dedicated professional staff, and its affordability to all youth. The Club is open when kids have free time and need positive, productive outlets. 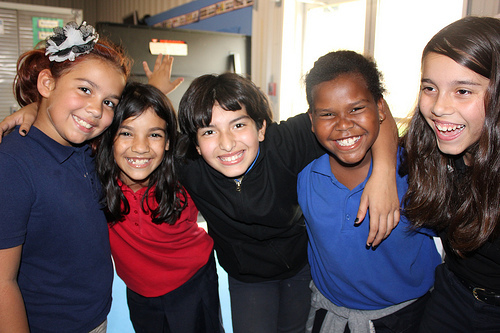 The BGCSCT has full-time, trained Youth Development Professionals, who are positive role models and mentors. Volunteers also provide necessary support. This guarantees that members have a safe and positive environment to learn and grow. Club members acquire a range of physical, social, technological, artistic and life skills. They make personal connections with other members, as well as meaningful relationships with adults. We offer homework assistance and tutoring and aggressively encourage members to pursue a post-secondary education. High expectations for Club members are consistently communicated and reinforced by staff, and we make sure that members are rewarded for meeting these expectations. Please complete our membership application form and return it along with applicable registration fee at any time during our normal business hours.